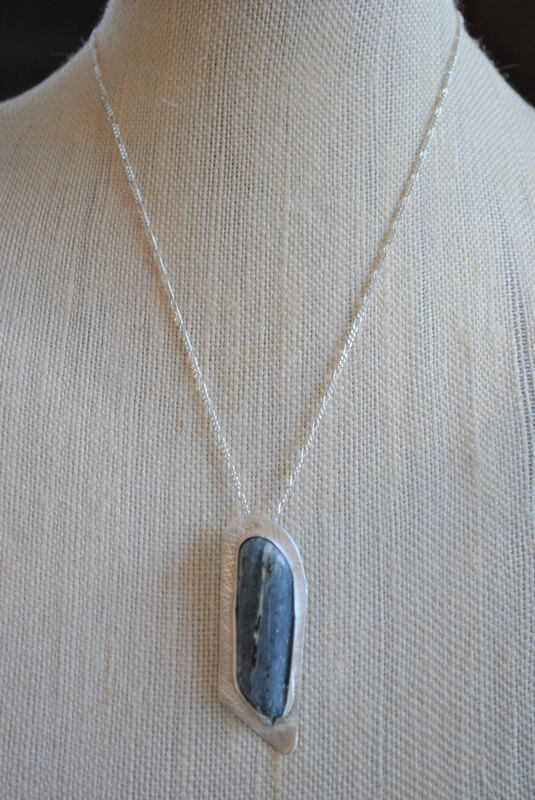 Beautiful blue Kyanite stone has been bezel set on a handcrafted sterling silver pendant. 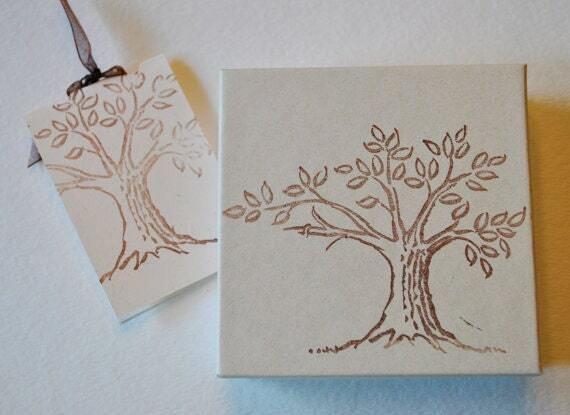 The pendant has been cut from sheet metal, rolled with hydrangea flowers for texture, and tumbled for polish. A sterling bail has been soldered on the back to hold the sterling Figaro necklace chain. 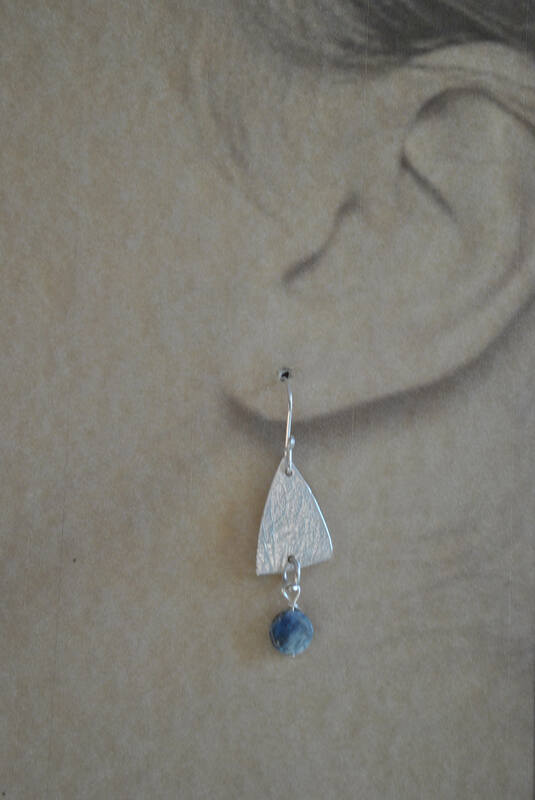 Matching earrings with Kyanite circle drops are included with this set. 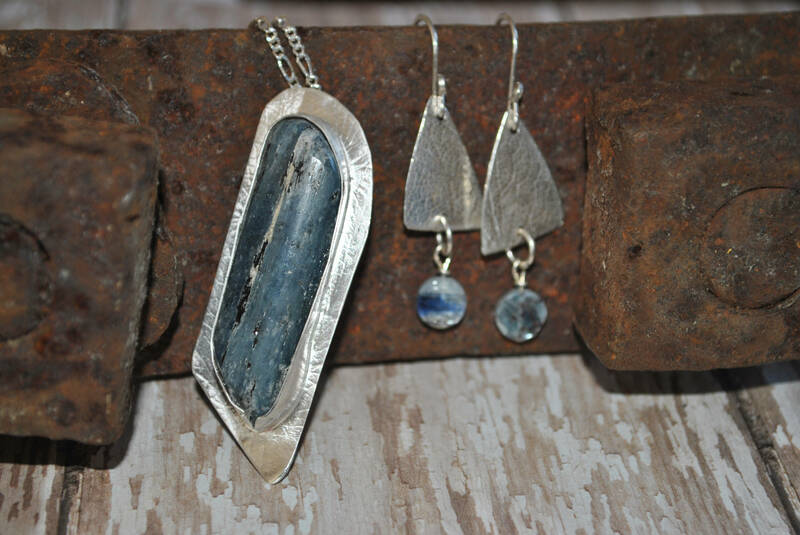 Derived from the Greek word Kyanos, meaning blue, Kyanite is a gemstone as beautiful and mesmerizing as Blue Sapphire. It bears a strong resemblance to the deep blue color of Kashmir Sapphires. 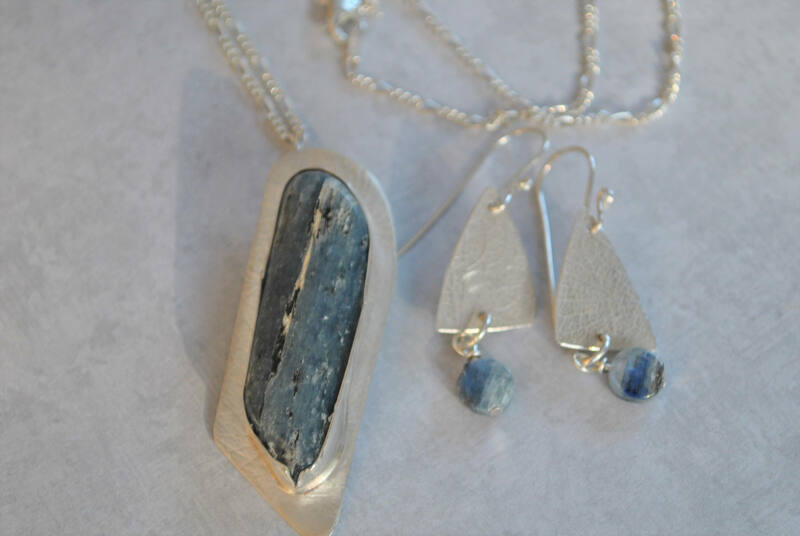 Kyanite derives its color from the trace elements or minerals iron and titanium, similar to the ones that give the blue sapphire its color. 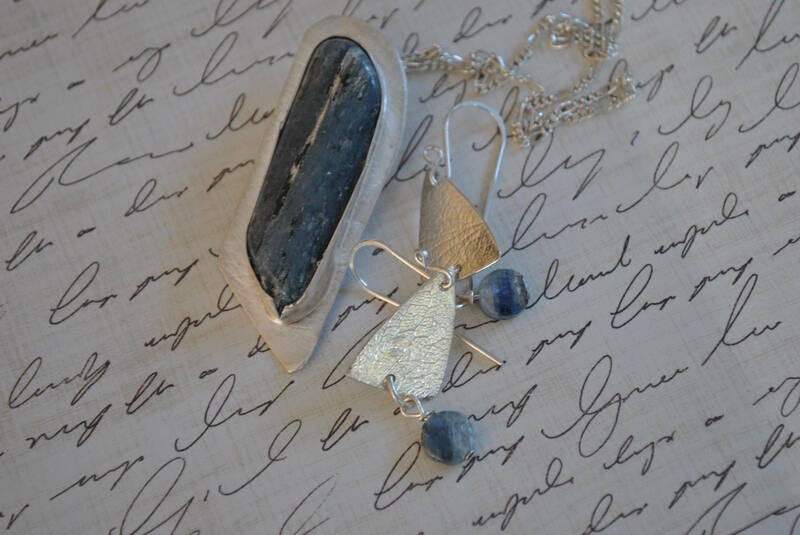 In ancient times it was believed that a kyanite suspended from a human hair could follow the earth's magnetic force like a compass needle. 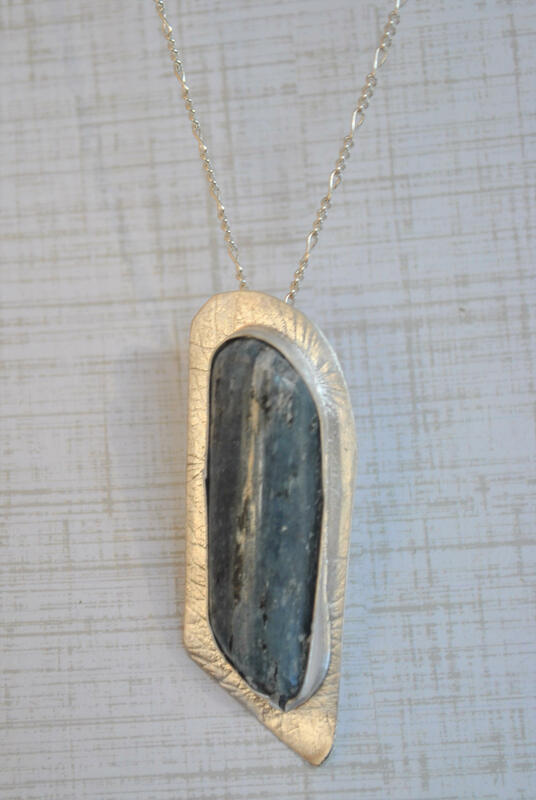 Travelers carried kyanite when they entered unknown territories to ensure a safe passage home. 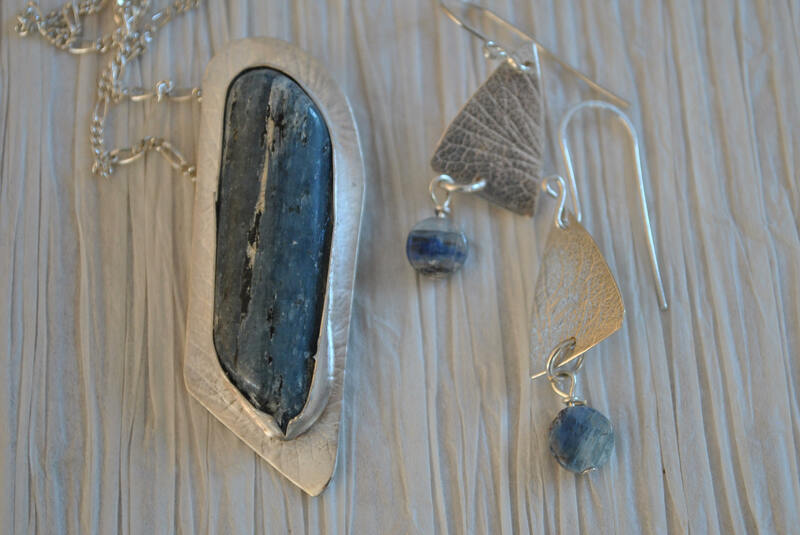 Kyanite is also believed to aid self-expression, communication and supernatural abilities.